Rebecca Minkoff always seems to know what we want — before we even know we want it. 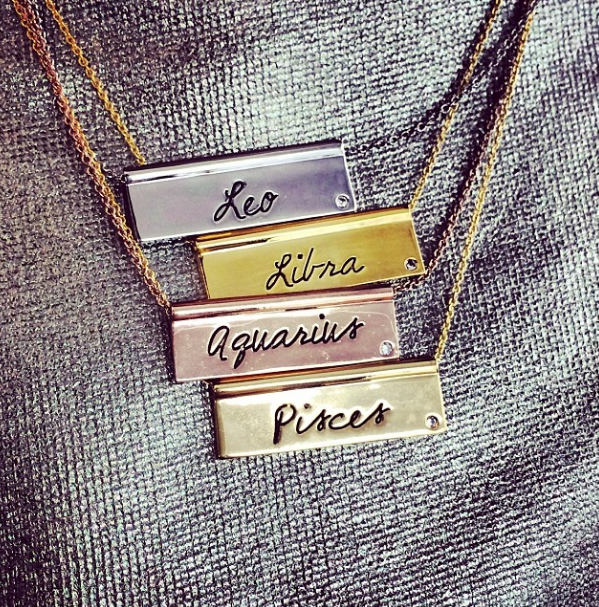 If you would have asked me a month ago if I wanted a necklace with my astrological sign on it, I would have told you it was soooo middle school. And then I caught a glimpse of RM’s impossibly chic zodiac accessories line, and I was suddenly soooo into it.Rebecca Minkoff’s zodiac collection ranges from jewelry to fashion accessories, and they’re crafted so elegantly that you could wear a coordinating necklace and pair of flats without feeling like you’re literally dressing up as your sign. The zodiac flats are artistic and glamorous, so I would seriously collect all of them even if they weren’t my actual sign. All black with a tasteful pop of color, the flats are a fun way to add some personality to an outfit without over-the-top embellishments stealing the show. Fashionistas will point out that designer Charlotte Olympia has a similar collection of high-end zodiac flats, but I find that these are far more affordable and versatile. Having seen these in person at Bloomingdales, I can attest to the fabulousness.